Dr. Kassem has received his B.Sc. and M.Sc. in Aerospace Engineering from Cairo University in 1990 and 1993 respectively. He got his Ph.D. in 1998 from Old Dominion University, USA. He joined Aerospace Department at Cairo University in 1998 as an assistant professor and he joined the research and training team for EgyptSat-1 satellite project (1999-2001). He got a second Master degree in Computer Science in 2002. From 2004 to 2011, he had joined Aerospace department at King Fahd University of Petroleum and Minerals (KFUPM), Saudi Arabia. During his stay at KFUPM, Dr. Kassem had developed the syllabi for the flight and space dynamics and control courses in the newly establishing Aerospace department. He also shared in shaping the strategic plan for the development of Space and Aeronautical capabilities for the Kingdom of Saudi Arabia (2008-2012). 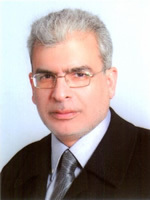 Now, he is a professor of flight and space dynamics and control in Aerospace Engineering Department, Cairo University. Dr. Kassem teaching and research interests include: Flight and Space Dynamics and Control, Modeling, Simulation, and Optimization. He has developed and taught 17 different courses. He also published more than 40 scientific papers, one book, two book chapters and three patents. Dr. Khalil received his B.Sc. and M.Sc. in Aerospace Engineering from Cairo University in 1991 and 1996, respectively, and his Ph.D. from Nagoya University, Japan, in 2002. He has taught at Cairo University (Egypt), Nagoya University (Japan) and University of Petroleum and Minerals (Kingdom of Saudi Arabia). He is currently Professor of Aerodynamics at Cairo University. During 2002 and 2003, he worked as Research Engineer at Takasago R&D Center, Mitsubishi Heavy Industries, Ltd., Hyogo, Japan. He has published more than 30 articles in international journals and conferences. He is an active reviewer for many journals and conferences. 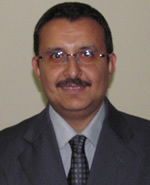 Dr. Khalil research interests include computational fluid dynamics (CFD), experimental fluid dynamics (EFD), aeroacoustics, and flow induced sound and vibration, flight dynamics and nano-satellite technology. He is senior member of JSASS, JSME, AIAA, and UNISEC. Main campus, building 59, Room number 216.